How does a Republican AG who supports President Trump obstruct a Republican Congress from investigating Democrat crimes? Lois Lerner was held in contempt for obstructing the investigation into her using the IRS to sandbag conservative political groups like the TEA Party in order to take their money, while fast tracking left wing fascist groups like Antifa and BLM. Holder was held in contempt for obstructing a congressional investigation into his and Obama’s Operation Fast & Furious selling guns to Mexican drug lords. 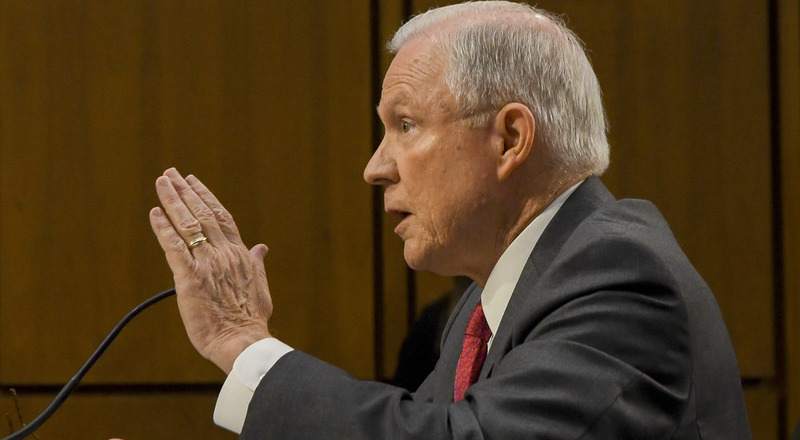 Now Sessions is obstructing the investigation into Obama’s illegal surveillance of the Trump campaign through a fraudulent FISA warrant. He says he is a staunch conservative, that he supports Trump, that he supports righteousness, but by his actions is proving he is one slick talking swamp rat who fooled everyone. Mueller is running into judicial roadblocks of his witch-hunt to destroy Trump supporters. His repeated violations of their 4th Amendment rights is headbutting with a constitutional judge. Mueller’s persecutions have been bankrupting Trump supporters with trumped up charges like charging Gen. Flynn with lying to the FBI when none of his interviewers said he lied. Now Mueller is judge shopping trying to find a liberal judge who will throw out the Constitution and make law from the bench. Both the judge and Congress are demanding Mueller and Rosenstein provide full disclosure of their cases and they are refusing. This is unquestionably a violation of the law! 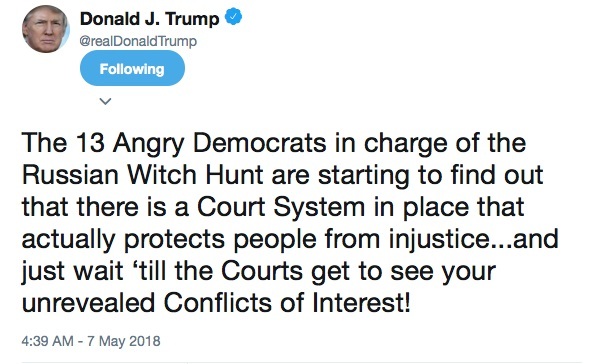 Millions of Americans have been calling for this witch-hunt to be ended and for investigations to be opened into the known violations of Democrats who must be held accountable for their crimes. If President Trump cannot force the swamp rats out and get Republicans who will support his initiatives to root out Washington corruption he may be ousted in the next election.